Clean, bold, bright. This stripe is at once classic but entirely modern. 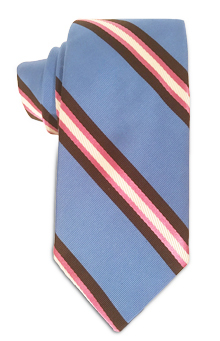 The wide base color makes this an awesome tie to wear with striped or checked shirts. Made by hand in the US.